This is in the spirit of show your work (in the Austin Kleon approach) for Colorized Improv (on Facebook). Unpanel – the tag associated with four blog posts about the June 2015 Bay Area Book Festival event at a panel titled Who We Be: An Un-Panel About Our Colorized Futures, hosted by Jeff Chang and featuring by Adam Mansbach, Favianna Rodriguez, and W. Kamau Bell. It was after this event that a flurry of ideas came about. Big thanks to friend Johnathan for spending time afterwards – bouncing around ideas. Who We Be – the tag associated with blog posts where I share quotes and food-for-thought from Chang’s book – Who We Be: The Colorization of America. 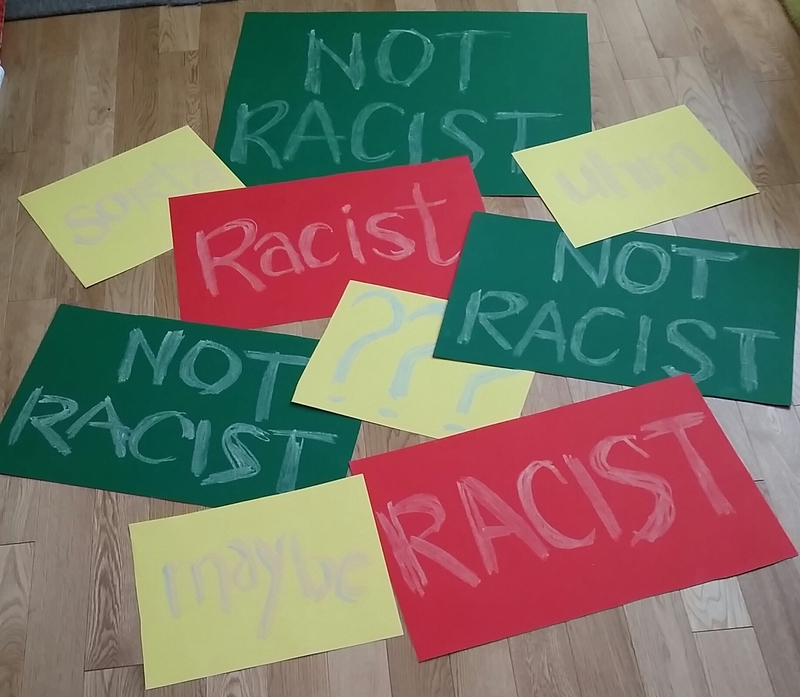 Experiment | improv, race, food for thought – a blog post about a 3.5 minute semi-improvised bit I created called Yo, Is This Racist or Not Racist?